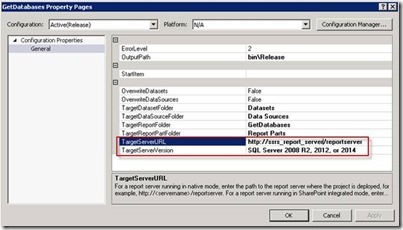 I knew that SSDT 2015 should be backwards compatible and able to work with multiple versions of SQL Server products, so I had to do a little research to figure out what exactly needed to be changed in order to publish a report to SSRS 2012. 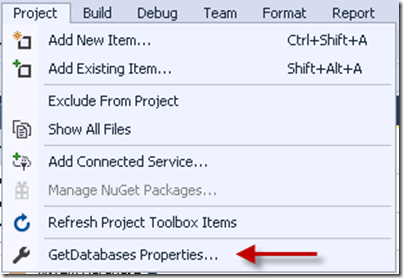 In my lab, I created a new project named GetDatabases. This project was a basic report that would get query a system table. The first thing I tried to change in the project was the TargetServerVersion located under the project properties. 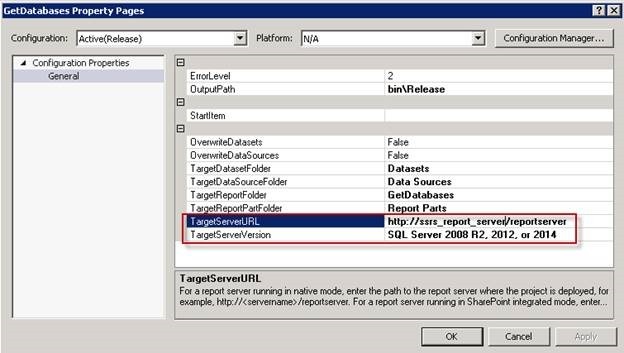 I updated the TargetServerVersion to “SQL Server 2008 R2, 2012, or 2014”, the default in was “SQL Server 2016”. I also updated the TargetServerURL to my development server running SSRS 2012. I made these changes to both the release and debug configuration options. After making these changes, I was still unable to deploy the report. 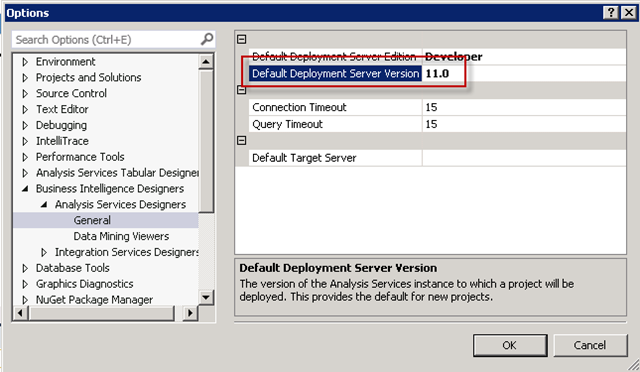 After a bit more research, I found a location to change the default deployment server version of the Business Intelligence Designer. This is located under ‘Tools and then Options’. The default was set to version 13.0, once I changed the version to 11.0 to match the server I was deploying to, I was able to successfully deploy my report to SSRS 2012. It seems odd to me that I would have to change the overall behavior of SSDT instead of just the properties of my project, however I confirmed with my client that they couldn’t deploy until they modified the default deployment server version. I hope this helps if you are having similar issues. I appreciated your article which saved me a lot of time. Thanks very much for posting this. It saved me the time and trouble of figuring this one out myself. Thanks Tim! You have rescued my Sunday! Indeed very strange that you have to change the general options… It should be purely project related. Your fix helped me. Thank you! Many thanks, Tim, for taking the time to document this from your end. You wrote “I hope this helps if you are having similar issues”… it sure helped me! Definitely appreciate the thought leadership in making such lessons learned available! Thanks, it helped. 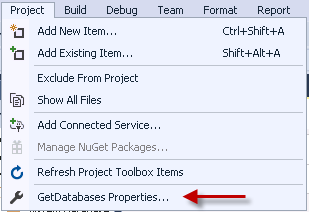 I don’t get why Visual Studio gave us multiple options for setting the target deployment versions. Just want to add more info for those using Visual Studio 2017. SSDT 2017 allow us to choose which component to install: Reporting Service, Analysis Service, Integration Service. The option in screenshot is only available if you choose Analysis Service. That is very useful! Thank you!